Alien Workshop’s Holy Roller has finally started to hit shops! Hard to imagine that one of the most venerable street skateboard companies of the last 25+ years would be dropping a cruiser (they actually have a few). Then again, I’m all about this deck. Its short at 28″, wide at 8.375″ and bares a red upside down cross (Brutal!). Holy only for heathens perhaps. It comes with 1/2″ risers, so the Black 60mm 78A wheels don’t get to much wheel bite. Each board comes shipped in its very own Coffin! 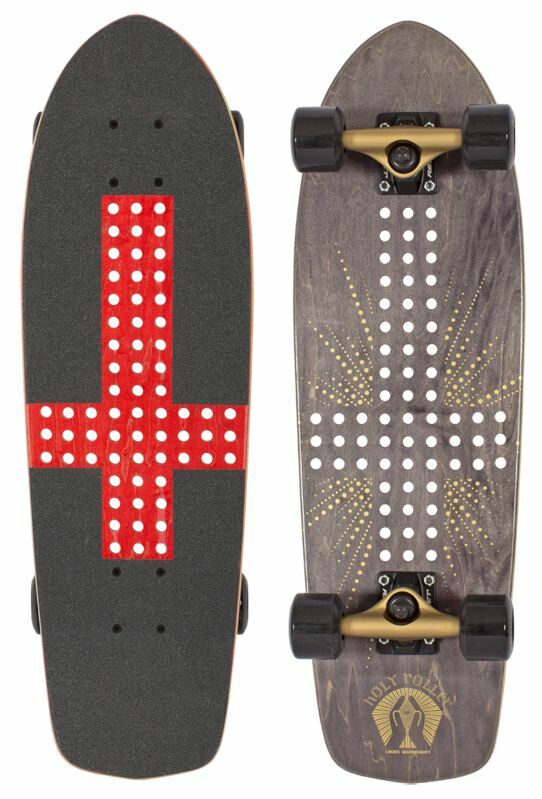 I think this board should be called the Un-Holy Roller, All hail the Morning Star!